The Roland VS Series printhead is suitable for Roland VS, RA and RE eco-solvent printers. The Roland VS Series DX6 printhead has a native resolution of360 dpi, 8 nozzle lines (corresponding with 8 independent ink channels)and 180 nozzles per line. This Assy, Servo Board is suitable for Roland VP-540 printers. 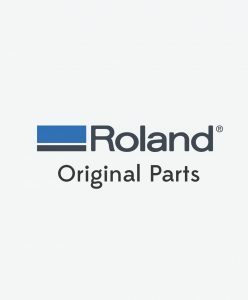 This is the original Roland part (number 1000002144). Compatible With: Roland VP300, Roland VP540 models.